One of the most distinguished Polish scholars specializing in Chopin, musicologist and music theoretician, Head of the Department of Musical Work Theory and Interpretation at the Academy of Music in Kraków. His main academic fields of interest cover: theory and history of 19th and 20th century music (Chopinology in particular), Romantic Lied and Polish contemporary music. His particular interests concern the musical work with its mode of functioning and existence in the sphere of culture as well as correlations, relationships and interactions between works of art and artistic disciplines. 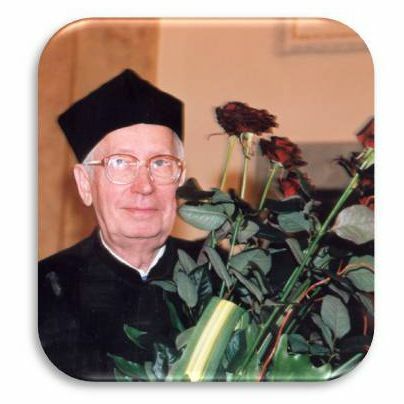 He was born on November 17, 1921 in Poznań in a family with teaching traditions. In Poznań he received general (Paderewski Gymnasium) and artistic (state Conservatory of Music, Karłowicz School, piano, 1933-1939) education. He studied Polish literature at the Copernicus University in Toruń (1946-48) and musicology at the Jagiellonian University in Kraków (1954-59). He obtained his PhD at the Mickiewicz University in Poznań (1984), on the basis of a dissertation The Output of F. Chopin and its Reception – A monographic Outline. There he also became a habilitated doctor (1999) on the basis of a work Studies in Romantic Lied. In the years 1946-49 he was an editor of an artistic periodical “Arkona”; 1949-52 director and artistic supervisor of the Pomeranian Symphony Orchestra in Bydgoszcz. In 1952 he moved to Kraków where he worked at PWM Edition [Polish music publishing house]; from 1954 as editor in chief and from 1965 to 1988 as its director. He began his academic activity in 1960. At the Jagiellonian University he held classes in the aesthetics of music (1960-66), at the State Higher School of Music which later became the Academy of Music in Kraków he has lectured in music theory and history (1960 – until now). In the years 1966-86 he headed the Post Graduate Study of Music Editing which he also founded, and in the years 1976-86 he directed the Team of Music Analysis and Interpretation. At the same time he headed the Department of Music Editing (1967-94), and since 1994 – the Department of Musical Work Theory and Interpretation. At that time he supervised over 30 seminars and symposiums organized by both Departments. In his research he concentrated on theory and history of 19th and 20th century music, especially on theory and history of song and musical-lexical correlations, Chopin’s output in the context of 19th century music, Polish contemporary music and ontology of musical work. He published a few dozens of academic studies, scientific texts and seven books of monographic character: Krzysztof Penderecki and his Music. Four Essays (1994), Chopin’s Music Read Anew (1996), Studies on Romantic Song (1997), Karol Szymanowski’s Songs (1998), Chopin. Man, Work, Resonance (1998), Chopin und seine Zeit (1999), Integral Interpretation of Musical Work (2000) and other publications: Polish Composers about Chopin (1959), The Musical Writings of O. Kolberg (1975), Fryderyk Chopin. The Life of an Artist (CD-ROM, 1995); documentary (TVP 2/ Arte). Mieczysław Tomaszewski was also a member of the Polish Composers’ Union (many times as a member of qualifying committee), F. Chopin Society (member and Head of the Scientific Board), Polish Chopin Academy. He participated in the works of the General Council for Higher Education (1982-85). At present he is member of the Central Committee for Academic Degrees and Titles (from 1993), the Committee of Art Studies at the Polish Academy of Sciences [PAN] (from 1997) and Scientific Committee of the Art Institute PAN. He has received the Composers’ Union award (1974), A. Jużykowski Award (New York 1978), Kraków Cultural Award (1979) and “Solidarity” award (“for independent culture”, 1988). 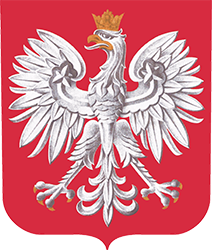 He is an honorary member of the Polish Composers’ Union. His Chopin monograph Chopin. Man, Work, Resonance won five prizes, including the Polish Publishers Prize, Polish Science Foundation Award and the award of the International Chopin Foundation.